Springtime is finally upon us and the warm weather has arrived in South Korea! Now gather your friends and family members, grab a big picnic blanket, prepare a delicious lunchbox and go outdoor! 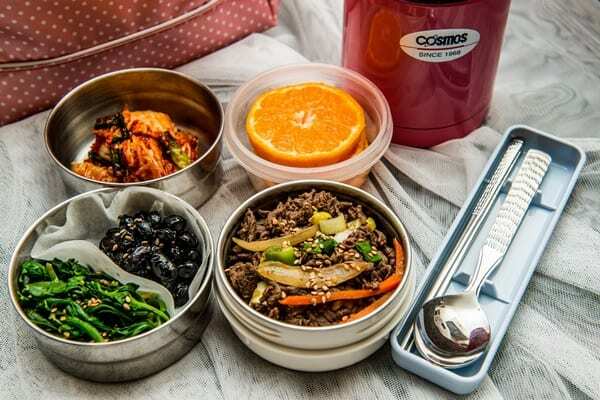 How about enjoying a spring picnic in Korean way? We’ve got you covered from the basics for the novice to tips on how to become a master of a Korean-style picnic. The Basics of a Korean Picnic for the Novice! Bring a tent and take a rest under the shades. Ride a bicycle alongside the Han River. 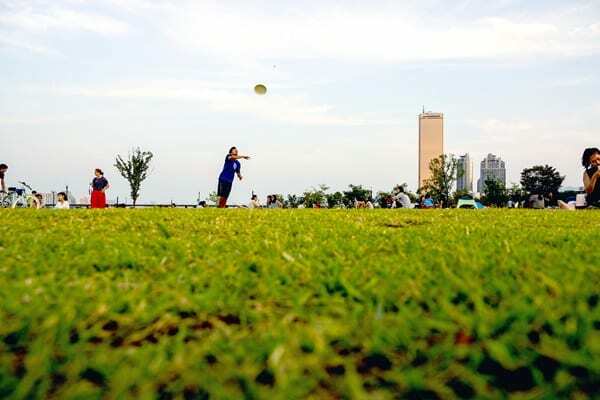 Take your dog for the walk or play Frisbee with friends or family on a wide open grass field of the Han River Parks. Try pedaling a duck boat with your other half when the sun’s falling down. Eat Ramyeon (Korean instant spicy noodles) with Makgeolli (Korean rice wine) or Soju (Korean Distilled Liquor), which taste even better when you are outdoor! An Expert? Order Delivery Foods! 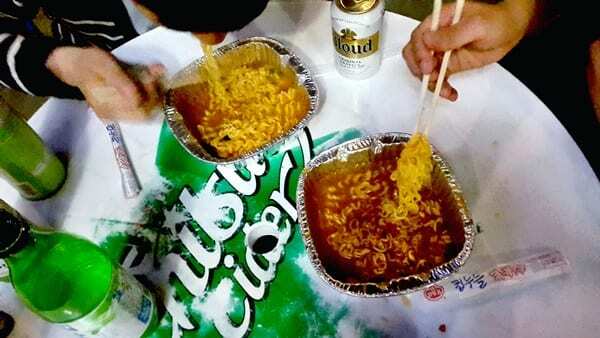 ‘Chimaek’ is a coined word that many Koreans use, which combines Chicken and Maekju (beer in Korean). 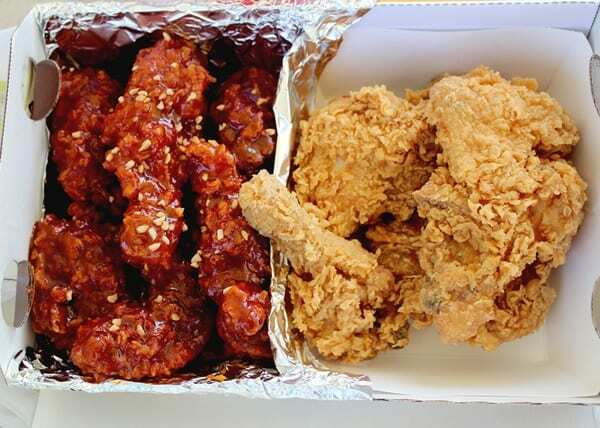 So when Koreans say, “Let’s go and have Chimaek tonight,” it means to go and eat chicken (fried or seasoned) and beer together. 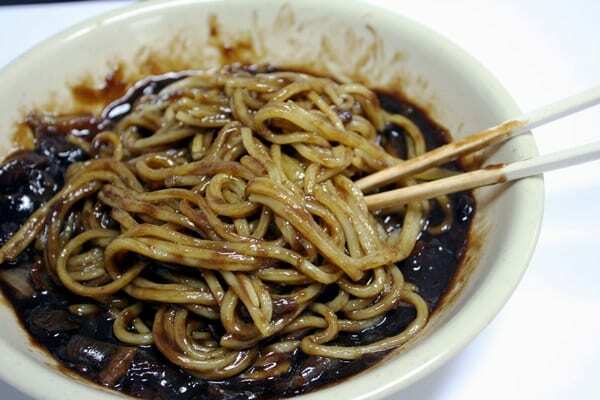 Another Koreans’ favorite delivery menu that they enjoy at a picnic is ‘Jjajangmyeon’, a fusion of Korean and Chinese cuisine, which is a black soybean sauced noodle with vegetables and pork. Become a Master in Korean Picnic! 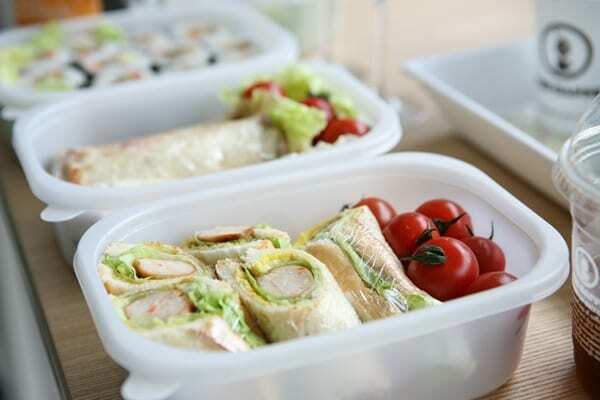 If you want to become a master of a picnic, prepare your own Korean picnic dishes! 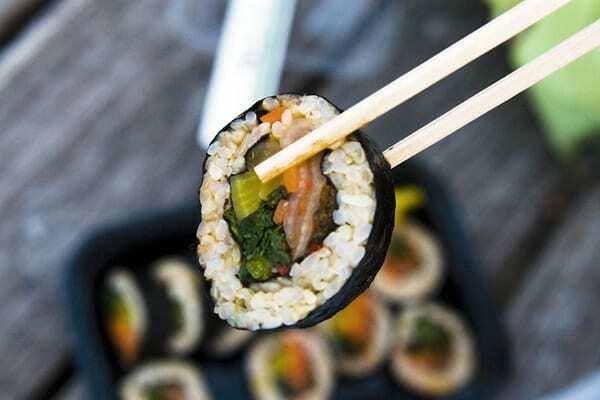 ‘Gimbap (Korean Rolls)’ is another common Korean dish that people bring it with their dosiraks. The name for Gimbap can vary according to the ingredients. For example, if you make Gimbap with only vegetables, it’s called ‘Yachae Gimbap (Korean Rolls with Vegetable)’, and if you make it with Bulgogi, then it’s called ‘Bulgogi Gimbap (Korean Rolls with Bulgogi)’. 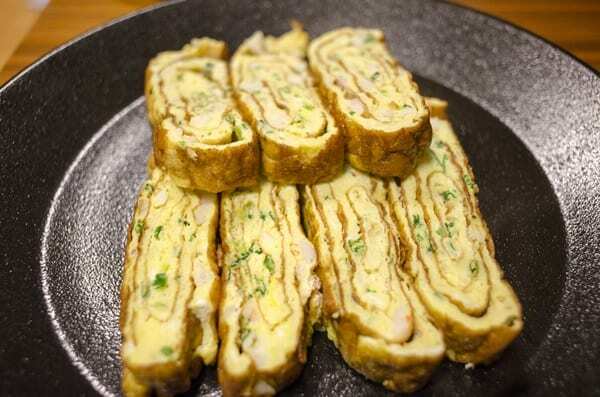 Try making ‘Gyeran-mari‘, or rolled omelet and pack into your dosirak when you go on a picnic. Don’t forget to bring ketchup with you when you’re eating the rolled omelet! 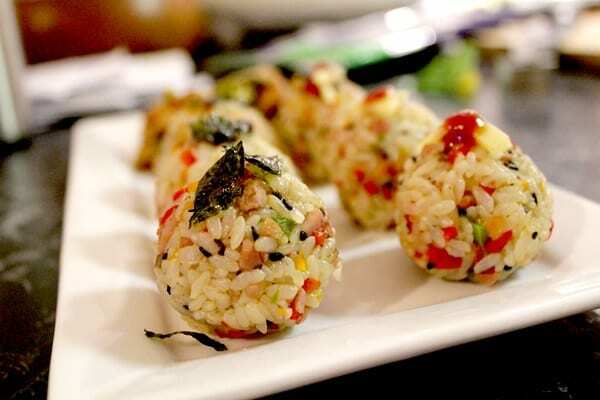 These ‘Yubu Chobap (Fried Tofu Rice Balls)’ are very easy and simple to make. You can buy the entire recipes for this dish in a pack in convenience stores or grocery stores. All you need to do is to mix the vinegar and bits of vegetables together with rice and put them in fried tofus! Totally easy! 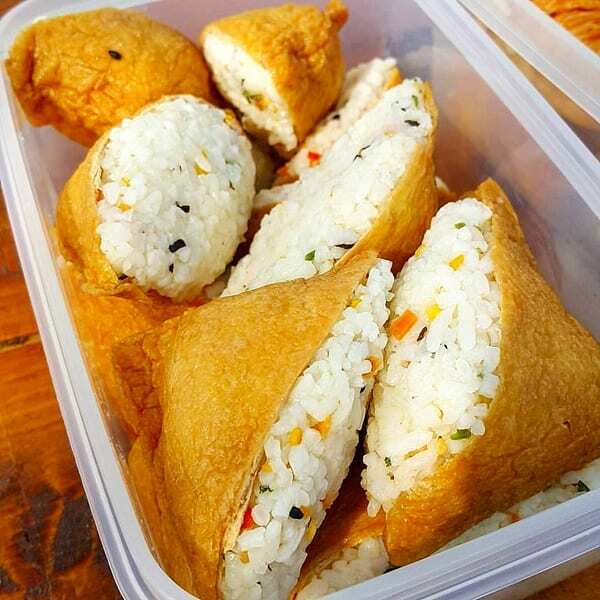 These Rice Balls are also ideal for picnic recipes because all you need are rice, dry seaweed and the ingredients of your preference. Usually, Koreans make rice balls with tuna and mayonnaise, Bulgogi, and vegetables mixed with ham. Mix all the recipes together and roll them into a ball shape, and sprinkle dry seaweed and you’re done making Rice Balls. 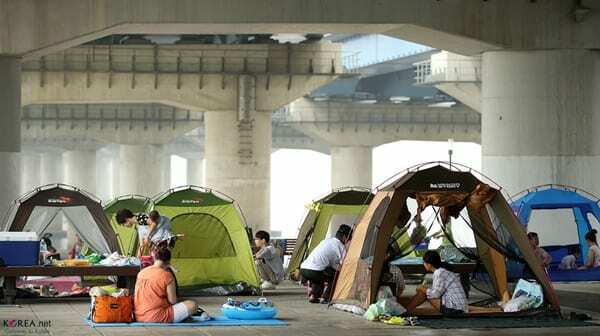 For those who have no idea where to go for a picnic in Seoul, here’s our recommendation, the Han River Parks. There are twelve Han River Parks in the city and all of them are very easy and convenient to reach by Korean public transportation. 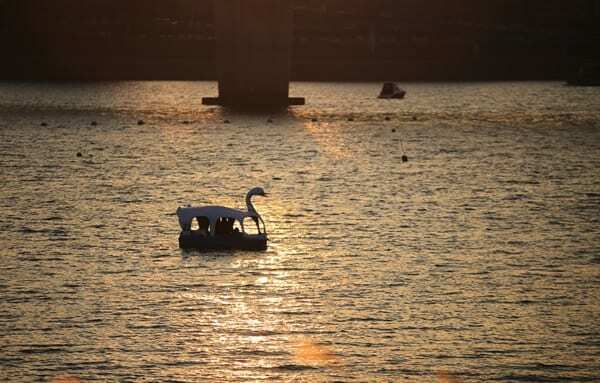 So try a visit to the nearest Han River Park in Seoul! 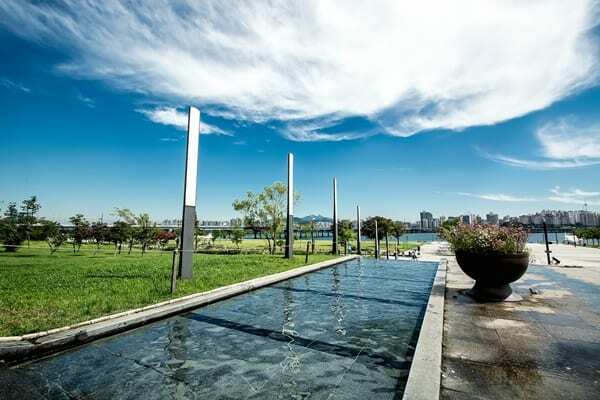 See all of the 12 Han River Parks in Seoul. 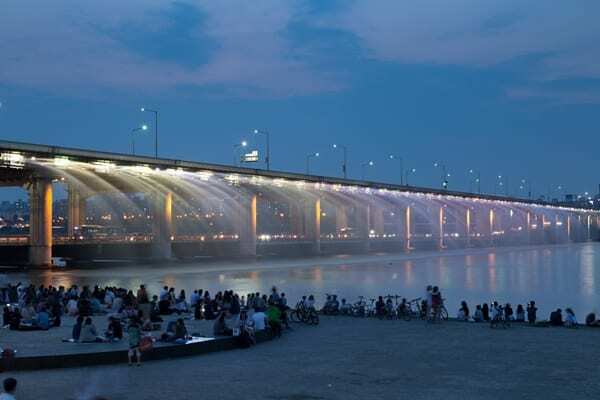 At night, you can even enjoy a spectacular night view of the Han River and its surroundings. We highly recommend you to try a visit to Banpo Bridge to enjoy the fantastic rainbow fountain that will rerun in April. For details and directions, click here. 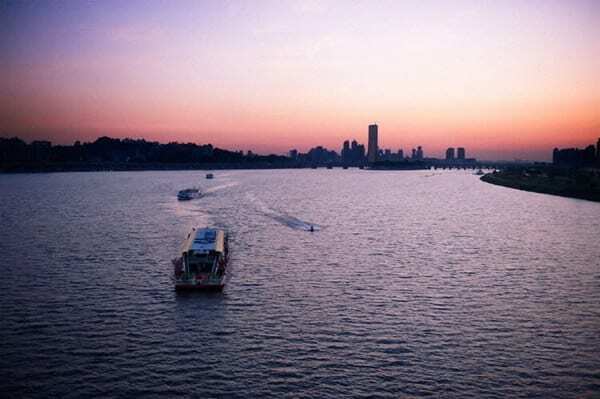 Another great way to enjoy the beautiful scenery of Seoul and Han River is to ride on the Han River Cruise that runs day and night! For details, click here. If you enjoyed reading this blog, don’t forget to visit Korea’s #1 Travel Shop, Trazy.com! Find out more places to enjoy a spring picnic and check out our Spring Special Tours that will let you explore and discover the ultimate beauty of spring in South Korea.